How will you contribute to responsible consumption? Did you know every year approximately 1.3 billion tons of food goes to waste? (source: un.org). Even most of the resources that go into producing this food goes to waste…….. In collaboration with our partners Worldchefs, Electrolux Food Foundation and Project Everyone we call for action and we want to change this! 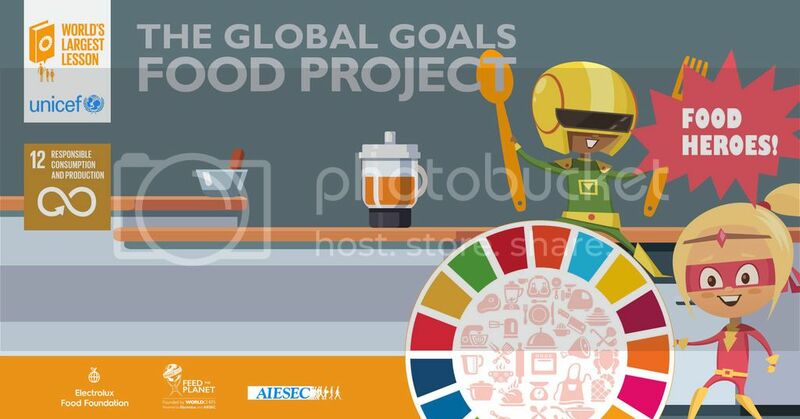 That is why together, we have created a universal workshop kit for SDG 12 – Responsible Consumption and Production named: Food Heroes. The Food Heroes toolkit has as an objective to help educate kids from 9 to 14 on how to minimize food waste and become advocates for sustainable food consumption. Also the kit helps you to prepare for the lesson, has a number of activities to do, video materials, a self assessment and a template of certificate!. It will make your job much easier. You can access the Lesson plan to be part of the World’s Largest Lesson for SDG 12: Food Heroes here. Do you want to become a volunteer abroad and join one of our arranged projects to contribute to Responsible Consumption? You can find more information about our volunteer projects this winter and how AIESEC is taking for Responsible Consumption here. Do you want to be a Food Hero? Go out and teach the toolkit! Passionate about achieving the biggest impact and reach through purposeful partnerships.